If you love history, castles, tasty food, culture and outdoor activities, Nurnberg offers you many treasures. 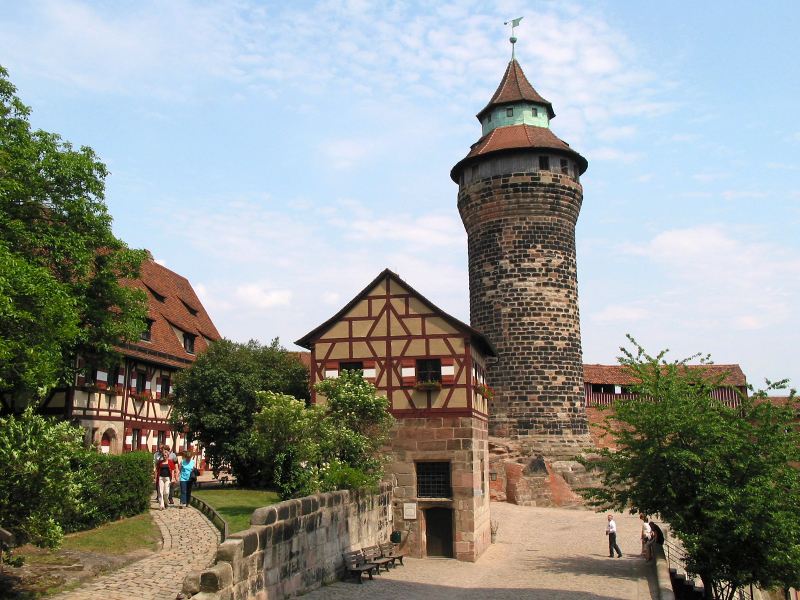 Check out the attractions in Nurnberg. A must do in Nurnberg is a walk around the picturesque Old Town, known as Altstadt. Here, you can easily stroll along the cobblestone streets and check out the medieval structures such as the half-timbered buildings and the surrounding wall. See prominent landmarks like the Tiefer Brunnen, a gable roofed well, and the Frauenkirche, a beautiful Gothic church. While you are in the Old Town, take a look at some of the city’s main attractions such as the stunning 14th century fountain. Climb up the hill to Kaiserburg, the city’s magnificent castle. Admire the old towers and walk through the lovely arched gates, courtyard and gardens. In addition to the historical sites, the Old Town also offers nearby hotel accommodations, restaurants, cafes and shops. Browse through the stalls of the main market, Hauptmarkt, and try some of the delicious gingerbread or Bratwurst. Another interesting attraction located underground near the main market is the Lochgefangnis Prison, a medieval dungeon once used to hold prisoners awaiting trial and execution. You can tour through the vaulted passageways and see many of the cells and torture chamber. Also of historical interest is the Nazi Rally Grounds, the 940 acre site of Nazi party rallies and propaganda events between 1933 and 1938. Though some of the buildings are damaged, you can explore many of them such as the deployment areas and Congress Hall. Situated inside the unfinished coliseum is the Documentation Center where you can learn all about the significant history of this site. Additionally, you can walk around the enormous Zeppelin Field to see various panels, photographs and information boards. For a terrific bargain, you can purchase an affordable tourist pass, called a Nurnberg Card, that allows you two days of free admission into all the museums and attractions as well as free travel on all transport services. These passes can be purchased with your hotel bookings or at Nurnberg tourism offices. Given its steep history, it is no wonder that Nurnberg offers a host of museums. Some of the most popular include the massive Germanisches National Museum, which houses collections of everything from medieval weapons to musical instruments to fine art. The architecture of the Albrecht Durer House itself is interesting to behold as is the impressive works inside by 15th century artist, Durer. Other museums you might find interesting include the Toy Museum and the German Railway Museum. To experience the arts and culture of Nurnberg, check out the Academy of Fine Arts, the oldest art academy in central Europe. Enjoy ballet and opera performances at the Nurnberg State Theatre. Attend exciting annual festivals like Bardentreffen, a world musical festival that attracts hundreds of thousands of people every summer. Nurnberg is not all about history. The city offers various fun and recreational activities as well such as swimming in the numerous indoor and outdoor pools. Have a leisurely walk or picnic in the beautifully landscaped gardens of the Stadtpark. Go hiking, canoeing and rock climbing in the nearby Fränkische Schweiz area. Spend the day at the Nurnberg Zoo with its 300 species of animals. Ready to see Nurnberg? The best time to go is from May to October when the temperatures are warmer. However, though winters in Nurnberg can be cold and icy, the exciting Christmas markets and hotel deals are quite enticing!